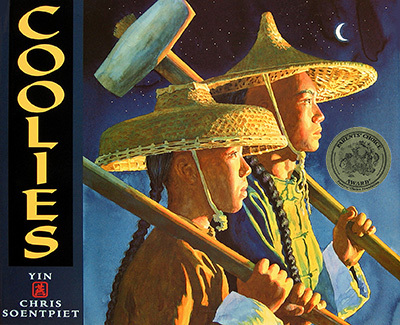 I recently had the opportunity to interview Chris Soentpiet, the talented award-winning illustrator of twenty picture books known for his historical and realistic illustrations. We talked while he visited my daughters’ school last month. Q. How did you start illustrating children's books? When I was an art student at The Pratt Institute, a four-year art college in Brooklyn, NY, we had several illustrators come to visit our school. I was particularly inspired by Ted and Betsy Lewin. They gave a presentation about their books, and I was so impressed by their lifestyle and general outlook on life, that I thought it would be a perfect career. 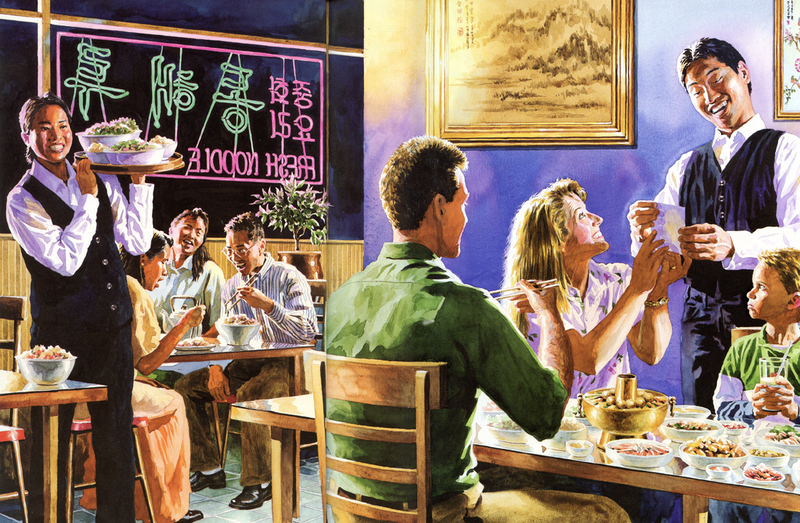 I was also inspired by my favorite illustrator, Norman Rockwell. I have all of his books in my office. 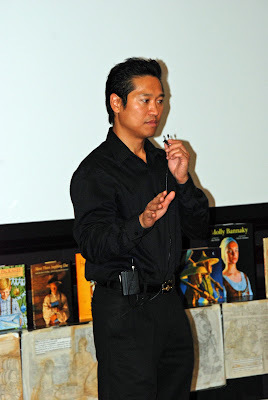 After I graduated from Pratt, I showed my work to publishing houses. Although I was rejected numerous times, I was given the opportunity to illustrate my first book, Around Town, about a day in New York City. I have been illustrating since then. Q. What is your process for illustrating a book? Once hired by a publisher, I study the manuscript. I don’t talk to the author, only the editor and art director. I prepare and send the publisher seventeen 3 x 5 inch thumbnail sketches for the story. After getting feedback, I send final thumbnails. This process takes about 3 months. Once we agree on the thumbnails, I make final pencil sketches 20% bigger than the final copy, sketched on tracing paper. I use a 7h pencil for detail. This takes about 4 months. When the sketches are approved, I re-sketch the drawings on watercolor paper using an 8h pencil, and paint them in watercolors. From start to finish, it can take a year for me to finish a book. Q. Your books have such detailed and realistic people. What is your process for illustrating people? Q. 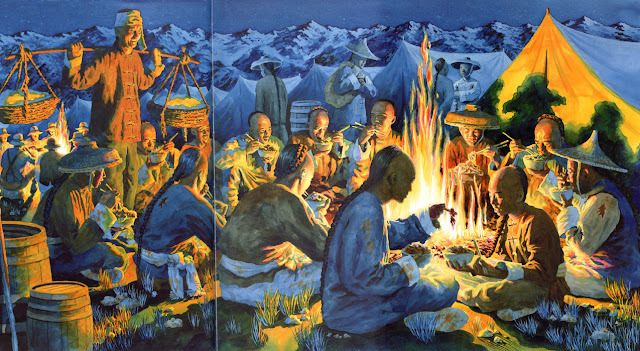 Do you have a favorite book that you have illustrated? 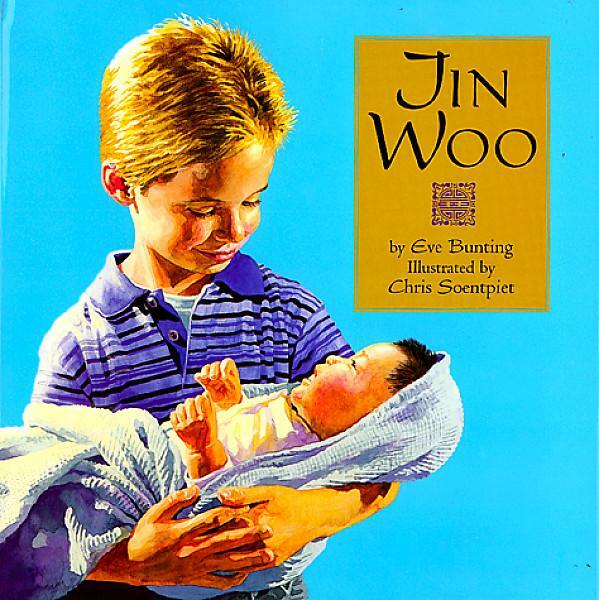 All of my books are special to me, but Jin Woo holds a special place in my heart, because it is about the adoption of a baby boy from South Korea. Like Jin Woo, I was adopted from South Korea. 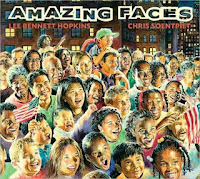 I'm working on the sequel to my most recent book, Amazing Faces. 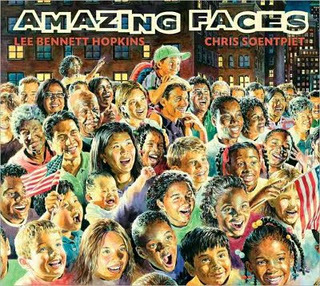 (In Amazing Faces, noted poet Lee Bennett Hopkins collected 16 poems about people all over the world experiencing universal emotions.) My new book is called Amazing Places, and Mr. Hopkins will gather 16 new authors to write about amazing places from all over the world. Q. What do you like best about illustrating for children? Children are honest and they tell you what they really think of your work. Unlike adults who are not as blunt. Q. Do you have any words of advice for aspiring illustrators? As I tell students when I visit them at their schools, follow your dreams and believe in yourself. Also, keep practicing. That’s the only way you get better. To find out more about Chris Soentpiet, visit his website at http://www.soentpiet.com.